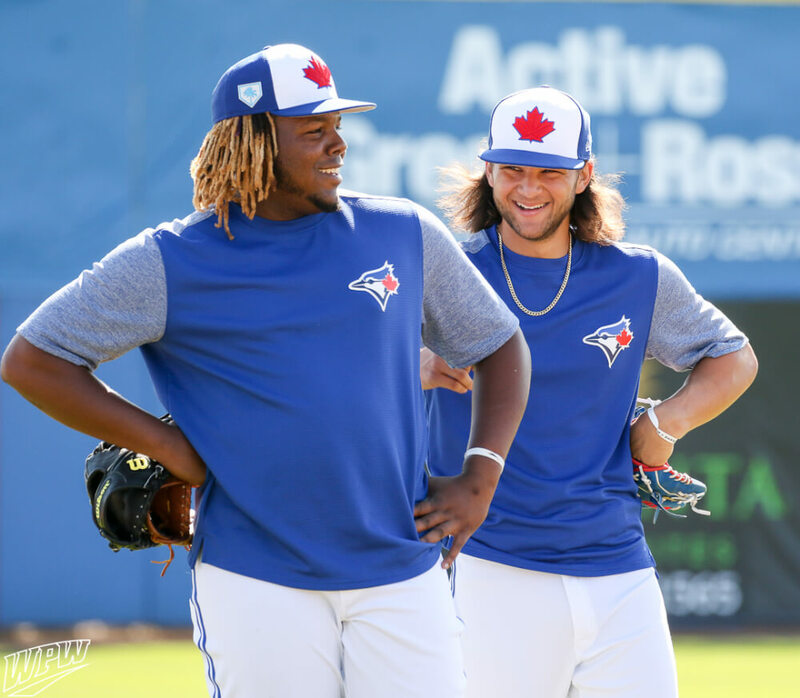 WPW had the pleasure of visiting Blue Jays camp to get our first glimpse at two of the most exciting prospects in baseball, Bo Bichette and Vlad Guerrero, as their Blue Jays hosted the Phillies. For Bo’s gear, check out his locker. For Vlad Jr.’s gear check out his locker. Check out some other notables below. 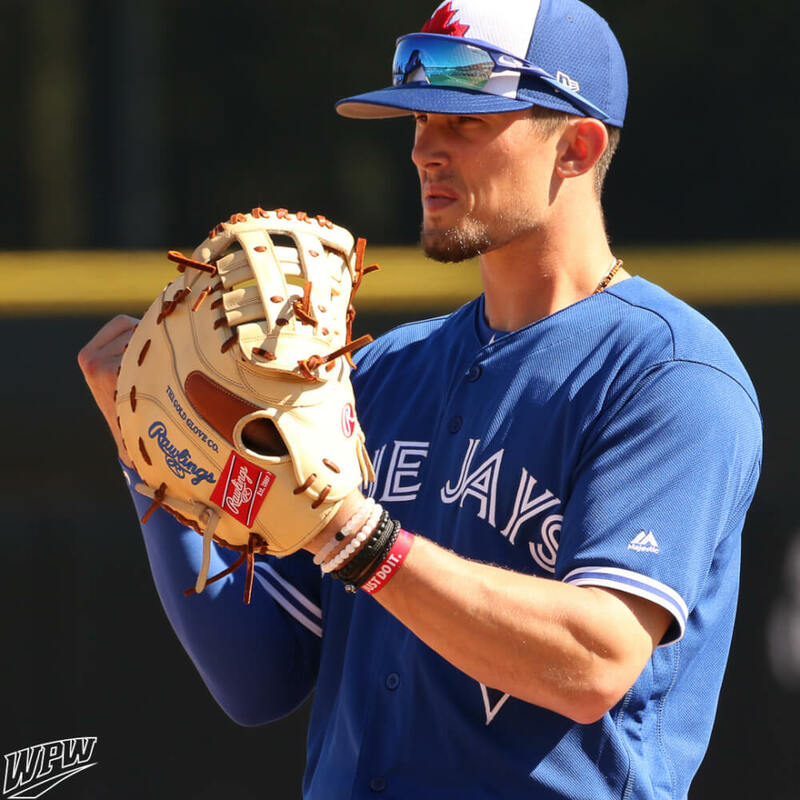 Cavan Biggio rounds out the Blue Jays’ Major League offspring trio. He’s rocking a Rawlings Modified H-Web at first base, which looks like the same model as Adrian Gonzalez, one of the most beautiful first base mitts in the game. On the brim of the cap sits Nike Hyperforce glasses. Why do we ballplayers put shades on the brim of our hats, making them useless in a game situation? Because they look cool, that’s why. Biggio wore Nike Force Elite batting gloves in an all-blue colorway and swung a Victus GS4 (George Springer). 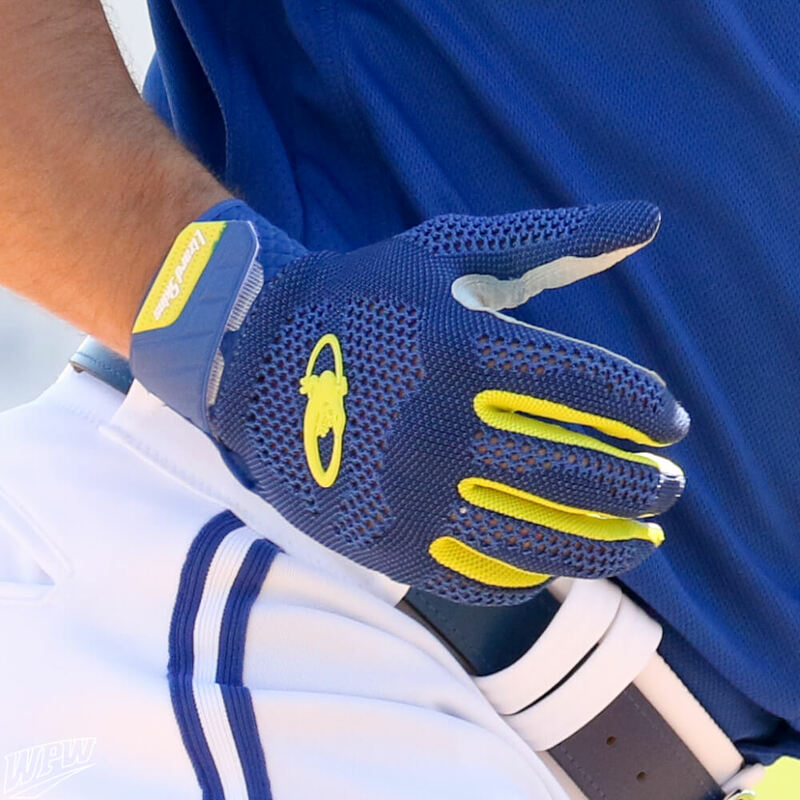 Randall Grichuk has been using Lizard Skins batting gloves for a couple seasons now, and these blue and neon beauties are so swaggy. These are similar to the model that Robinson Cano was spotted wearing at Mets’ camp, and one of our new favorite products. A similar pair can be found here at Baseball Monkey. Eric Sogard’s got PEs. 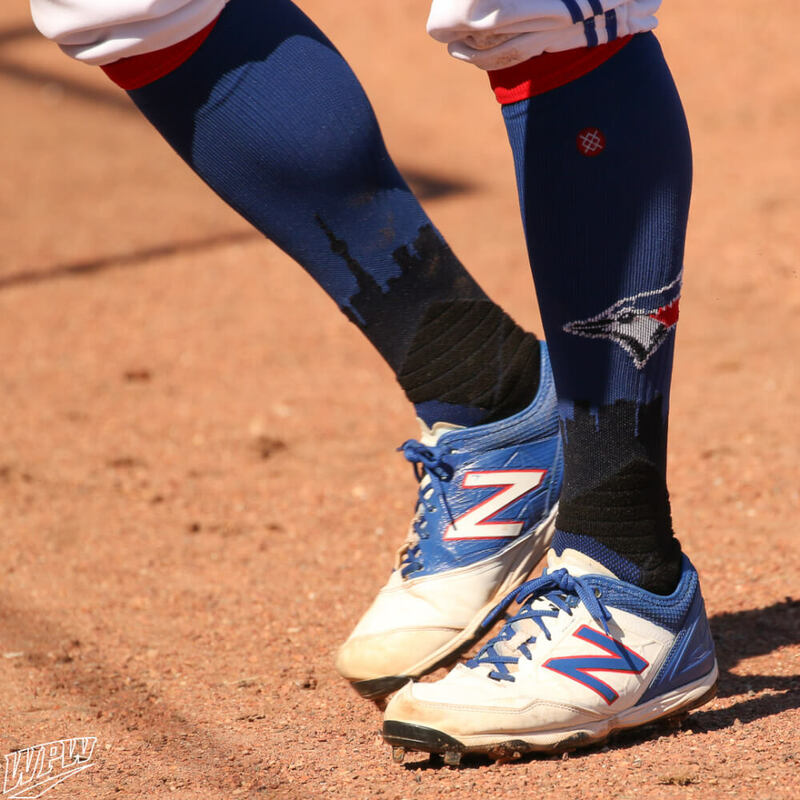 This unique pair of New Balance Minimus Cleats paired with Toronto skyline Stance socks show that Sogard’s still got that #nerdpower. Released a couple of years ago, you can still find pairs of the Minimus on Amazon for as low as $20. 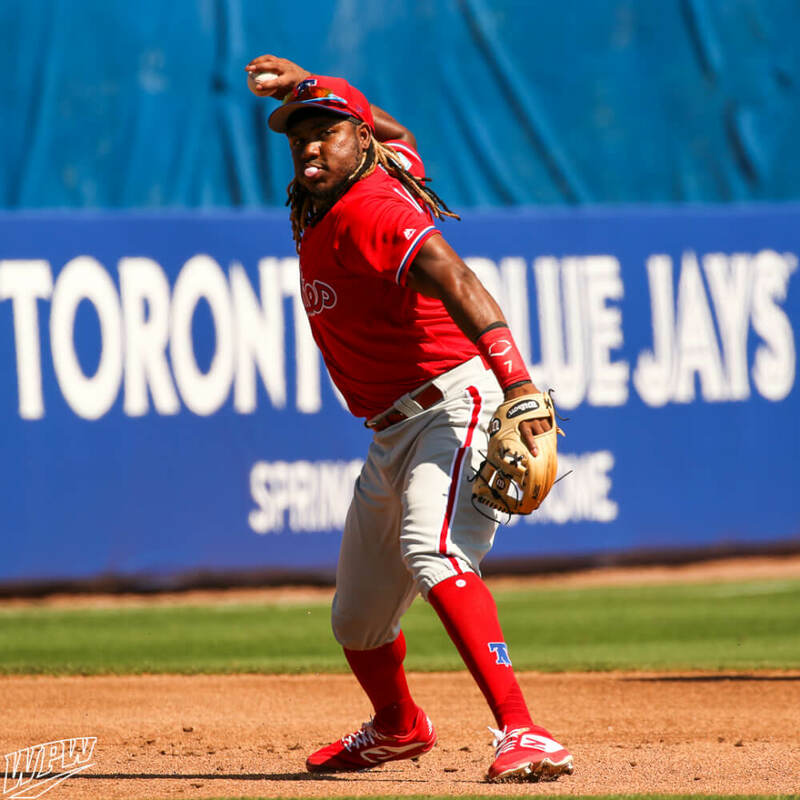 Maikel Franco wore New Balance Fresh Foam 3000v4 cleats and Phillies Stance socks, as well as a pair of grey and red Franklin CFX Pro batting gloves. Franco’s appear to be pro treatment, but you can get a similar pair here, or a similar custom model we created here. Franklin is currently offering 20% off if you purchase two or more pairs of custom batting gloves. 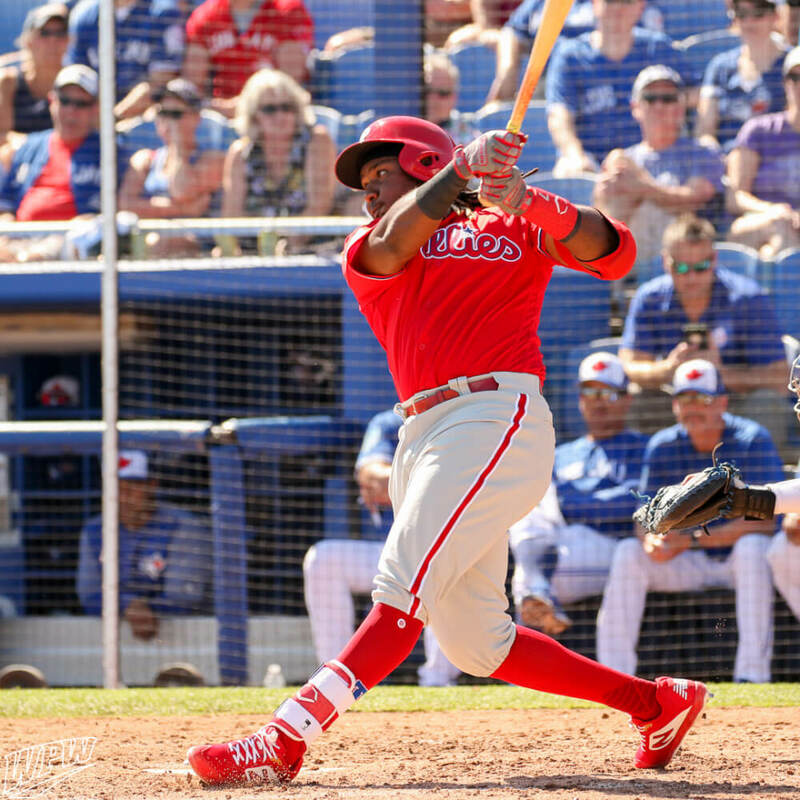 Franco also wore a blond Wilson A2K 1787 with black laces. 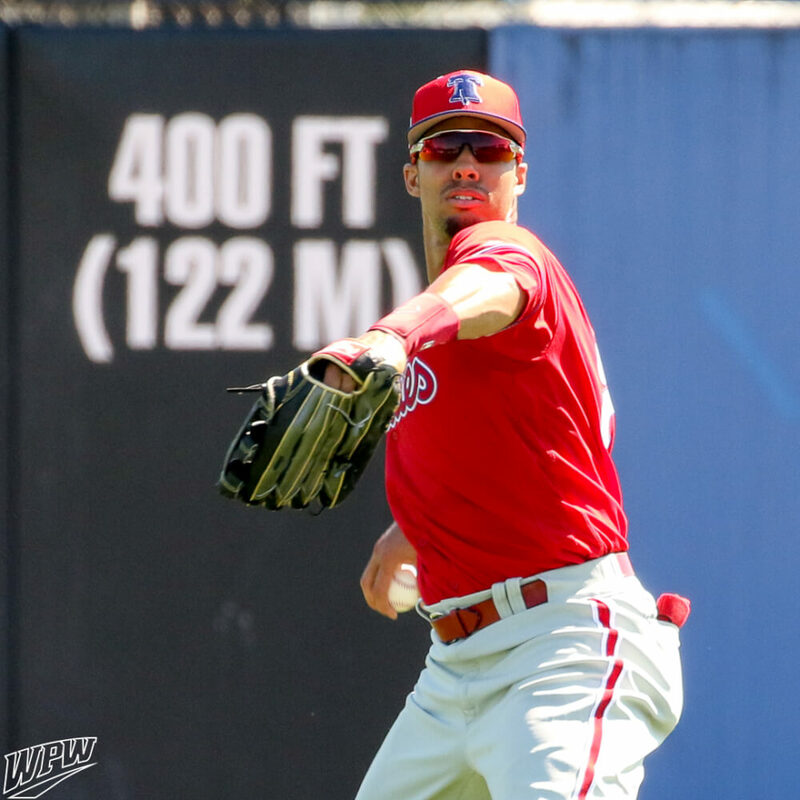 Outfielder Aaron Althier (Thanks Aiden for the correction) wore a Rawlings PRO303 H-Web with Rawlings’ new Hyper Shell back. It will be fascinating to see how Rawlings’ experimentation with synthetics turns out, and the Hyper Shell adds a flashy touch to the industry standard for performance. 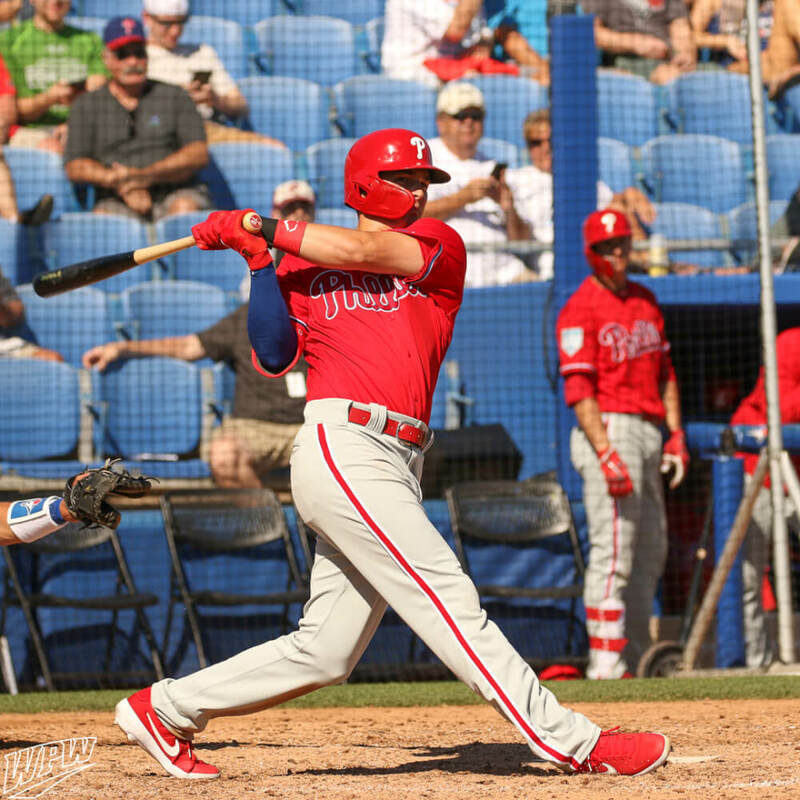 Scott Kingery was wearing Adidas Afterburner V cleats in a red and white. You can buy them here. 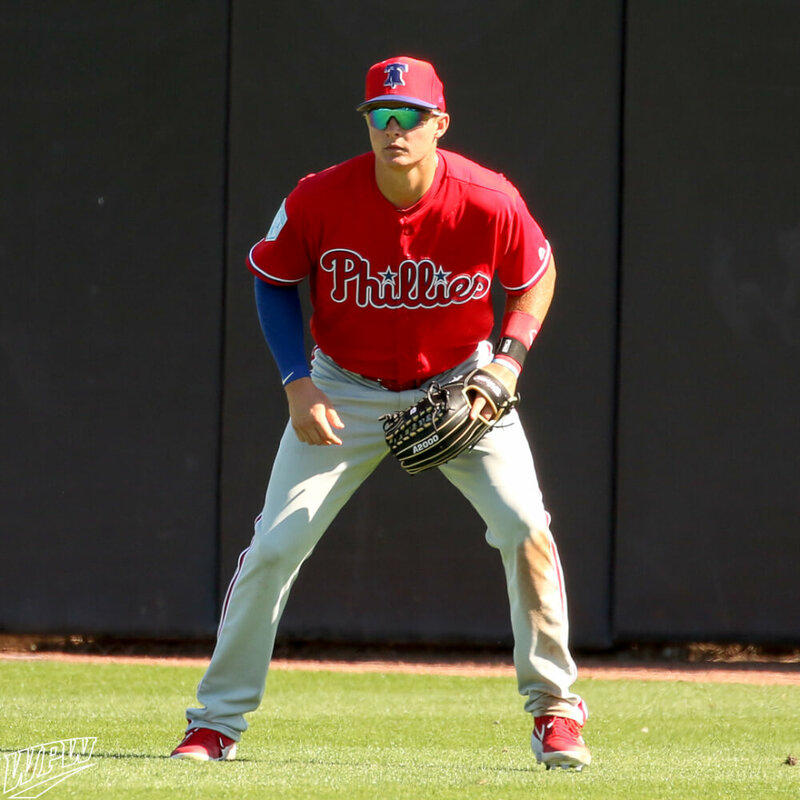 Phillies #1 overall draft pick in 2016, Mickey Moniak, was wearing red and white Nike Alpha Huarache Elite 2 cleats along with a Nike Hyperwarm arm sleeve and a Wilson A2000 OT6. This colorway is no longer available, but you can buy the OT6 here. 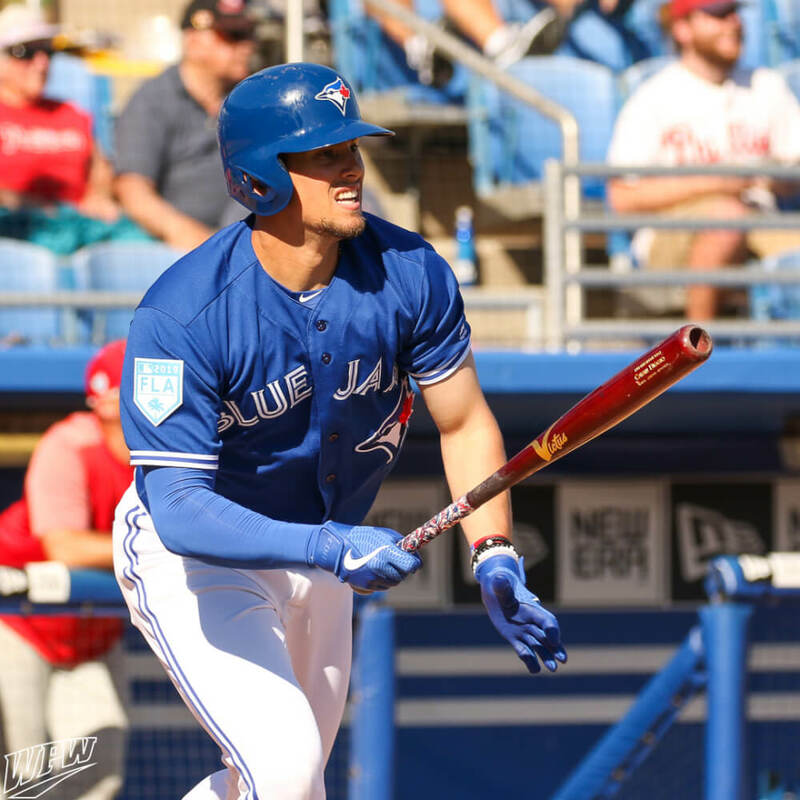 Here’s Moniak at the plate with a Louisville Slugger M356M maple bat. The M356 is the “most end loaded” custom bat that Louisville Slugger offers. 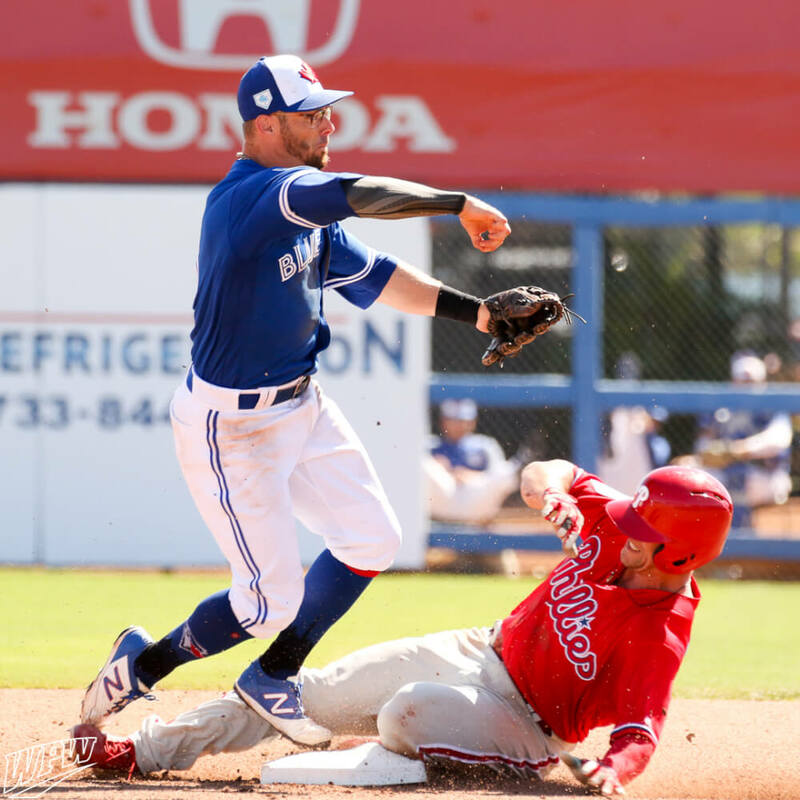 The new Huarache’s have been one of the top models we’ve seen at spring training, and we can’t wait to see the PE treatments coming in the future. Whose gear would you roll with? Let us know in the comments.